Printing proofs ensure that we print your order to your expectations. To create your printing proofs we need high resolution artwork from you. 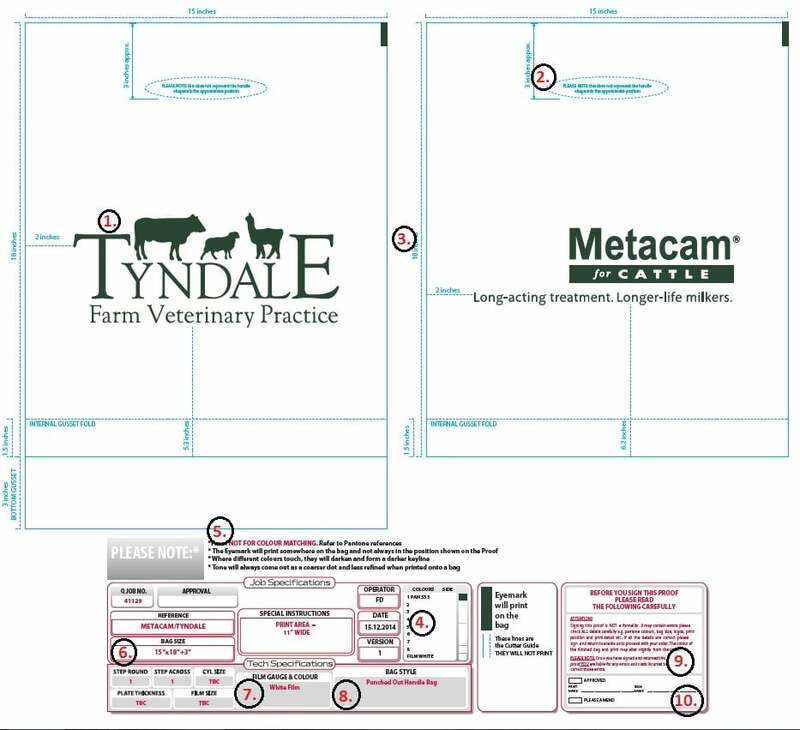 Printing proofs have to be signed off before printing plates are made. Our plate makers are happy to make alterations on your proofs until you are 100% happy with them. This is where your artwork will appear. Check your artwork against your original files. Zoom in and out and also view on 1 or more screen where possible to make sure it’s how you want it to look. If you are ordering a carrier bag, this is where your handle will appear. If you are ordering mailing bags or any of style of bag with a seal or closure, make sure that its appearing where it should be. Check that each measurement on the bag is correct against your quote and what you have ordered, including your gusset size. Make sure you read all requirements, suggestions and notes on the proof as our plate makers will suggest changes or alterations here. Check your bag size is the same as the measurements on the diagram and your order. Check your film is the correct colour against your order. If you bag is clear, this will show on the proof as a pale/turquoise blue. Check your style of bag is as ordered. Read carefully over the terms of your proof before signing off. Sign off your proof. To sign off your proof you can either send us an email confirming you wish to proceed with the correct version, or you can physically sign the correct proof and send it us back.